On Monday, the Nurburgring experts at BridgeToGantry (BTG) announced that spectators stationed in turn 13 of the 12.9-mile Nordschleife course had recorded a not-so-flattering lap time for the 2019 Chevrolet Corvette ZR1. Accounting to BTG, the amateur timing experts alongside the track agreed that the best lap by the LT5-powered supercar was a fairly disappointing 7:12, but we were quick to point out that this is purely an unofficial time and that the real time – recorded by an on-board timing system – was likely to vary. Frankly, I am confident that we will see a better official lap time and, like many people, I expect something closer to the 6-minute range. However, early this morning, we have learned that those trackside timers are pretty accurate, as Porsche has announced the official lap time for the GT3RS and it is almost identical to the unofficial times shared by the same people who reported the 7:12 for the Corvette. When the news of the balmy lap time by the Chevrolet Corvette ZR1 hit the internet earlier this week, it wasn’t the only car being discussed. Also in that early morning session was the newest Porsche GT3RS. According to the spectators timing the cars from turn 13, this naturally aspirated German sports car ran a handful of laps in the 6-minute range, with the quickest being 6:56. Again, like the Corvette’s 7:12, that 6:56 was unofficial. This morning, Porsche announced the official record lap time for their new 911 GT3RS and with a 6:56.4, it is one of the quickest cars to ever scoot around the 12.9-mile road course. The only production street cars to run faster laps at The Ring are the Porsche 911 GT2RS and the Lamborghini Huracan LP640-4 Performante, but that Lambo time has been widely disputed due to the lack of third party witnesses. There are also two Radical race cars that have run quicker laps with street legal tires, but those cars aren’t legal in most countries – so I am not inclined to take them seriously when it comes to the discussion of the faster street cars around the Nordschleife. In any case, the Porsche GT3RS time of 6:56.4 is faster than the Porsche 918 Spyder, the Dodge Viper ACR and literally every other production street car that has made a lap around the infamous German road course. Most importantly for this discussion is that with a time of 6:56.4, the official Porsche time was less than a half-second off of the unofficial times for the new GT3RS, and that puts a whole lot more weight behind that disappointing Corvette lap time. When we ran our piece earlier this week about the Corvette ZR1 “only” running a 7:12, it was met with a fair deal of criticism in the various social network groups. Some people insisted that it was raining and that was why the lap time was so bad. Many people insisted that the spectators on the side of the track cant be relied on for recording accurate lap times. The Porsche GT3RS was on the track for the same morning session as the Corvette ZR1 and if there was localized rain, it didn’t slow the Porsche down enough to keep it out of the 6-minute range. With the cars being on the track at the same general time, it seems unlikely that rain would hamper the run of the 755-horsepower Corvette without slowing down the 520-horsepower 911, but it is still a possibility…just not a very good one. As for the spectators not being a reliable source of timing information, this news from Porsche proves that these folks are indeed accurate in their timing of the cars on the track. Porsche confirmed that the 911 GT3RS did make a handful of sub-7-minute laps, just like the trackside timers reported, and with the official time of 6:56.4 being just 4 tenths off of the unofficial time of 6:56 – it is clear that these folks know how to accurately time a car from trackside. 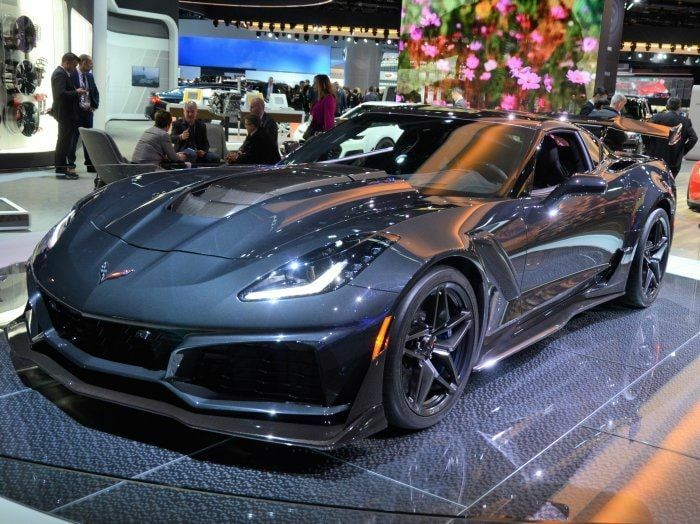 In other words, the Corvette ZR1 might have a quicker lap in it, and I fully believe that we will see something closer to the 6-minute range, but there is a good chance that the timers were accurate in their report of a 7:12 lap from the LT5-powered American supercar. While there is a possibility that the new ZR1 isn’t capable of running a lap faster than 7:12, I have a hard time believing that. While the new Vette may have turned in a best time of 7:12 on Monday, there is a possibility that wet portions of the track slowed it down. There is also a possibility that slower cars got in the way and led to the disappointing lap time. Also, there were reports of a major crash on The Ring on Monday, so perhaps that tied into the Corvette’s troubles. In any case, while the Corvette ZR1 has seemingly only run a 7:12 thus far, my safe money says that we will see much quicker lap times from the Nurburgring soon.